I love Christmas and buying gifts for loved ones. 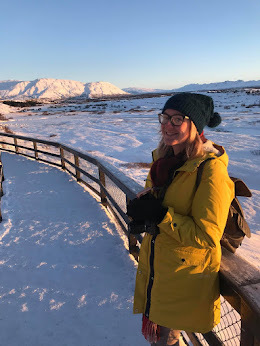 I am surrounded by people who of course love their food and drinks so this year I was inspired to put together a guide full of fantastic food and drinks gifts. Summerton Club is a premium spirits subscription box containing rare and unique spirits which won't be found on supermarket shelves. 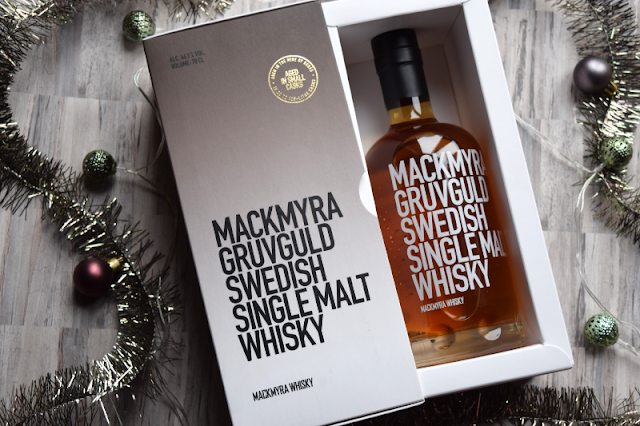 Octobers box contained this Limited Edition Swedish single malt whisky, past boxes have contained a selection of aged brandies, whiskies and rums from around the world. It would make the perfect gift for those who love their premium spirits and like to collect drinks for their cabinet collections. The boxes cost £50 including postage, packing and delivery. Sam really enjoys his spicy food and has introduced me to cooking using an array of different herbs and spices. I love the idea of The Spice Pioneer boxes, the monthly subscription spice kit enables customers to recreate dishes from all over the world. 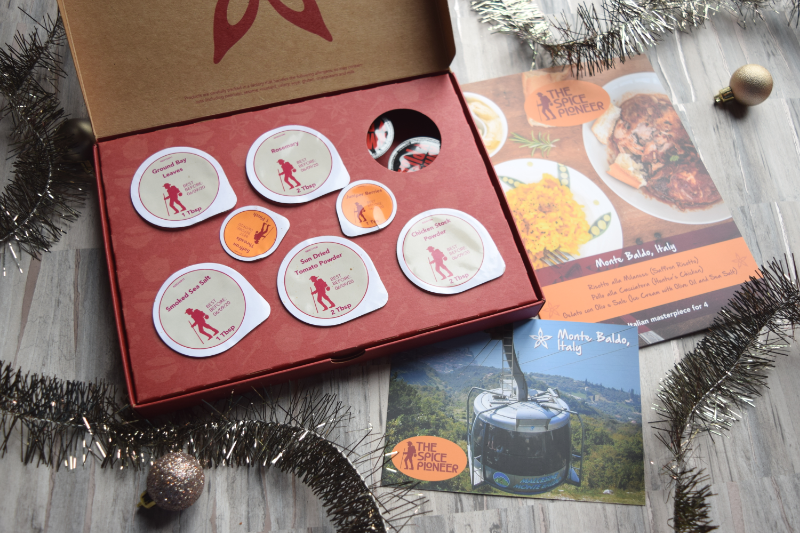 Each box has a different theme and comes with a little postcard stating where the recipes come from, a booklet listing ingredients needed and step by step instructions to make each dish and the herbs, spices and oils needed to make a three-course meal. It is a great idea for those who love to experiment with food and works out at just £8.33 per month. 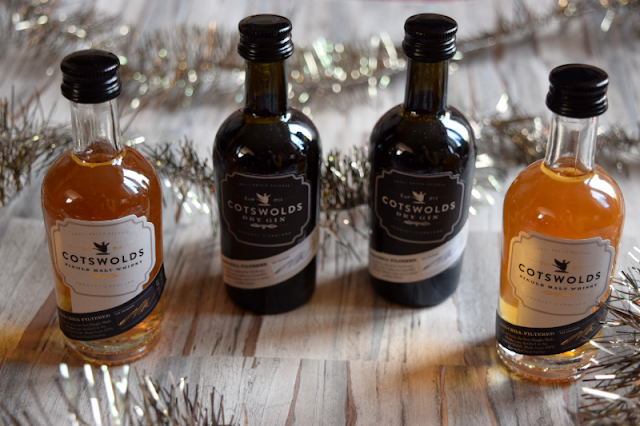 For the Whisky and Gin fans, Cotswolds Distillery Single Malt Whisky and Dry Gin would make great gifts. Both are produced in the Cotswolds and are rich in flavour. The whisky is made using local ingredients and the gin is prepared using a carefully selected mixture of nine botanicals. The perfect Christmas Day tipples. There are many people around me who love to try new varieties of both Whisky and Gin, always looking to be impressed by the different flavours. The Cotswolds Single Malt Whisky costs £44.95 for a 700ml bottle and the Cotswolds Dry Gin costs £34.95 for a 700ml bottle. 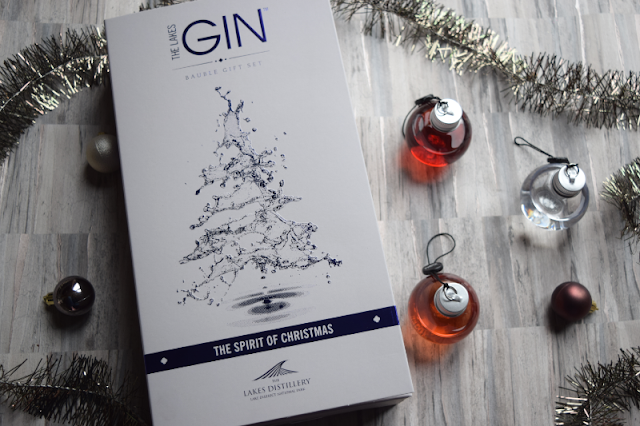 I love The Lakes Gin Bauble Gift Set, which contains six 5cl baubles full of gin, two of each variety. It contains 2 x The Lakes Gin, 2 x The Lakes Sloe Gin Liqeur and 2 x The Lakes Damson Gin Liquer. It is a great novelty gift for Gin lovers and the flavours sound amazing. I look forward to sharing some with guests over Christmas. They are available to buy at Find Me A Gift and are currently £29.99. If you know someone who loves their gin or vodka, maybe think about gifting them an assortment of different mixers to try with their favourite drink of choice. 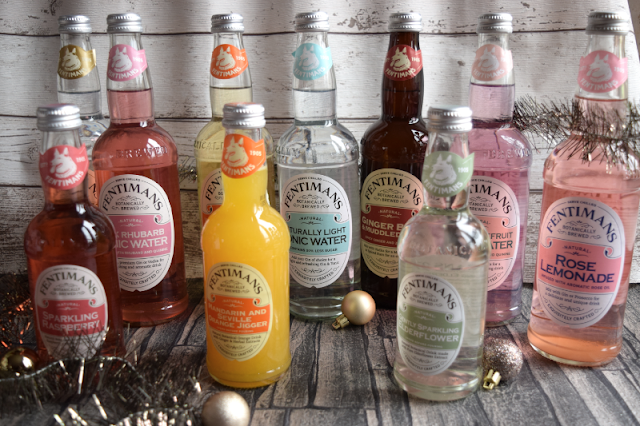 Fentimans provide a large range of tonics and soft drinks with different flavour twists which are the perfect accompaniment to a glass of vodka or gin amongst other drinks. My personal favourite is their Rose Lemonade which goes really nicely with an original dry gin. Fentimans Tonics and soft drinks are available to buy at most supermarkets. As far as I am concerned, it isn't Christmas without Panettone! 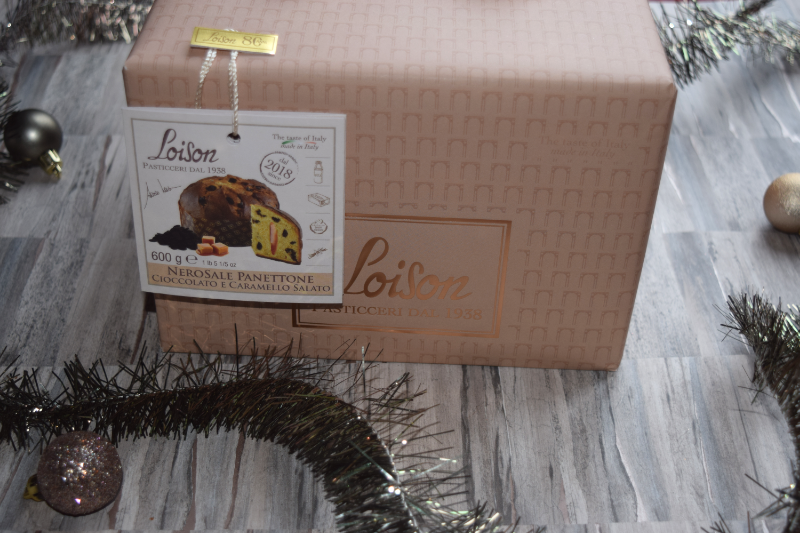 Sous Chef have a range of different flavours and brands including this Loison Chocolate and Salted Caramel Panettone for £18.95. I have a massive weakness for anything salted caramel so would be so pleased to receive this in a Christmas hamper! They do have the best selection of Panettone I have ever seen. You can view them by clicking here. The Deluxe Sushi Set is the ultimate gift for sushi lovers. 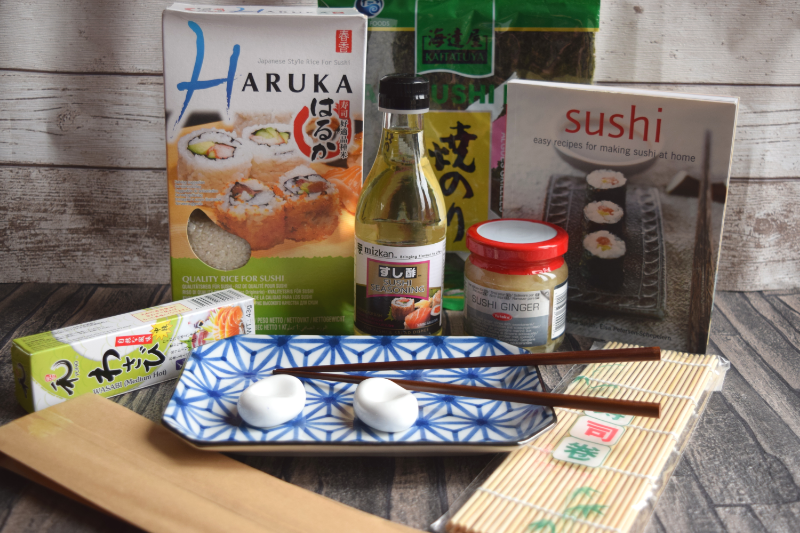 It includes pickled sushi ginger, sushi rolling mat, sushi rice, nori sheets, wasabi paste, sushi vinegar, 2 x white pebble chopstick rests, 2 x brown wood chopsticks, blue star sushi plate and Sushi: Easy Recipes For Making Sushi At Home recipe book. All of this comes in a lovely Sous Chef drawstring bag at a price of £39.50. If maybe you don't know many sushi fans but have family who love to cook, Sous Chef also have similar sets for a range of other cuisines. My go to for sweet treats is always The Fudge Factor. This was my latest order. I love to support small businesses when I can and I have a real soft spot for Fudge! 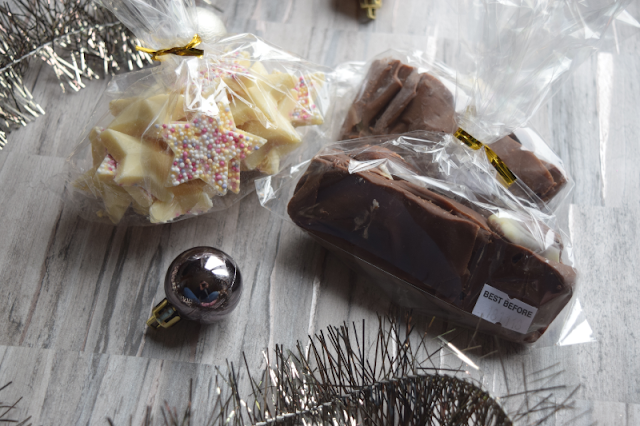 This was a yummy mix of Toblerone fudge, Nutella fudge and some star Jazzies. They are of course long gone now and were as tasty as ever! They do so many amazing flavours of Fudge and are always coming up with new ones to try so it is worth following their Facebook page. 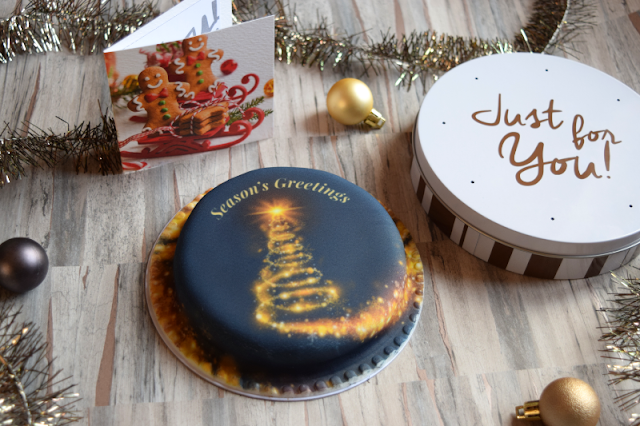 Everyone knows cake is the way to my heart, bakerdays creates personalised cakes for all occasions that fit through your letterbox so you don't have to worry about being in to receive it. You can choose a flavour, design and can even have photos printed on some designs. The cake arrives safely packaged in a cute little reusable tin. Prices start at £27.99 and it would make a great surprise gift for any cake fans. It is surprisingly so fresh! I discovered Rhythm 108 back at Blog On in September. 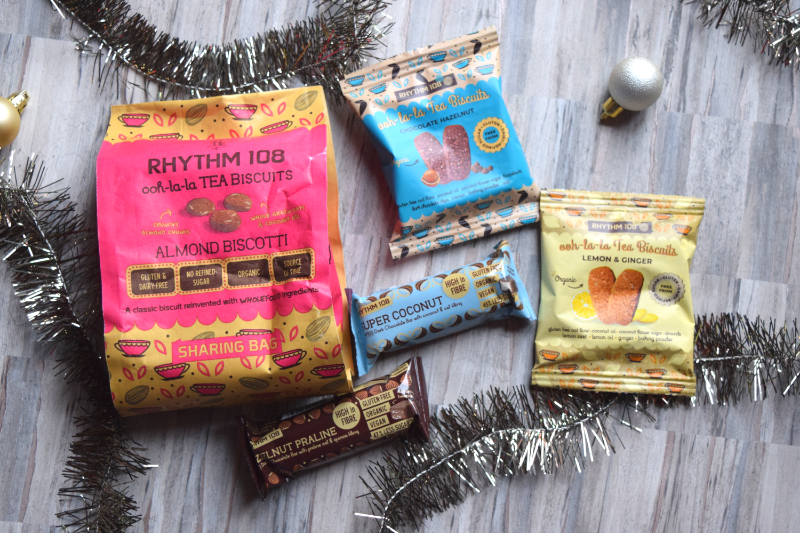 Created in the Swiss Alps, all of their treats are made with natural whole foods, with no more than 8 ingredients per recipe. Their chocolate bars are amazing! I am a big chocolate fan and can be fussy when it comes to quality but these pass the test! I am also desperate to try their Lemon Cake and Choco Walnut Brownie. They would make a great hamper gift for health conscious family and friends. *Some of the items featured above were sent in exchange for inclusion. I totally agree! I would be more than happy with a large supply of gin for Christmas! That is great to hear! My partner is a whisky fan so I am hoping he likes it!